Idea on how to make table setting place cards for any occasion using a brown paper lunch bag. I know most of us like quick and easy when it comes to setting a table. I am going to share an oldie, but goodie with you. I have been blogging for 8 years and have quite a lot of table setting ideas here on my blog. I forget about so much of it, like the chalkboard tile place cards as well as the pretty vintage place card holders I made for an afternoon tea party. I thought I would bring some of it forward starting with this clever way to make place cards for your fall table settings. Brown paper lunch bags are a staple in my pantry. They can be used for so much more than just packing lunches. They make great gift bags and my favorite way to use them is to make place card holders using the bottom of the bag. With a few quick cuts you will have a little tent card with a pocket to tuck in the names of your guests. Cut the bottom portion of the lunch bag off. Turn bottom face up – the tab section is going to be the pocket that holds a guest’s name. 3. Cut bottom portion in half horizontally. Every bag’s tab is going to be a bit different, so just make sure the tab is above where you are cutting. 4. Cut one vertical side off. Cut to remove the diagonal fold above the tab on each side. For the fall place cards in the photo, I used the font – Edwardian Script to create and print out all my guest’s names on paper. You could also print out all the names of the food you are going to set up on a buffet. Place the cards in front of each serving dish so your guests will know what type of food is in each. 6. Set on table like a tent. Place cut out names that you printed out on your computer in the pocket. 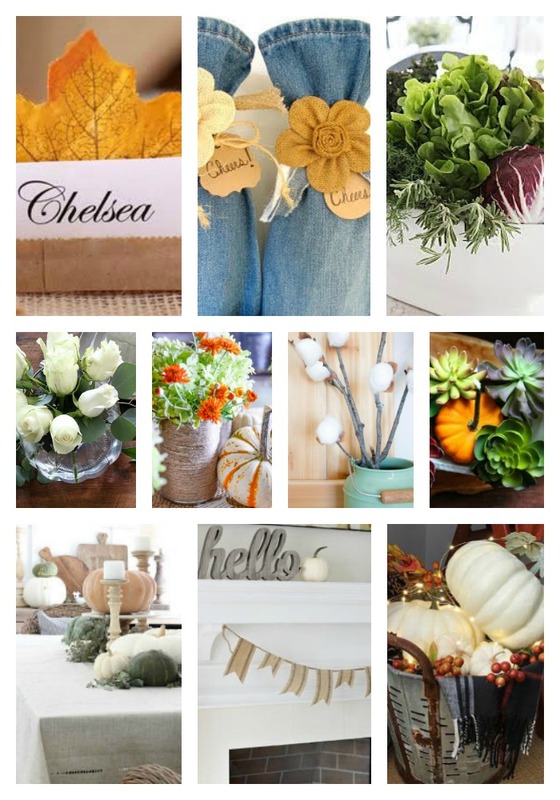 Add a real fake fall leaf from the craft or dollar store behind the name for for some seasonal style. This year will be the first one where I will not have a formal dining room to use for fall and holiday entertaining, but I still will be setting the kitchen table and always like to add a place card to make the event feel extra special. So clever Diane!! Love this idea – pinned! Super cute and SO creative!!! So perfect!! They look great and so affordable!! So easy but so cute! I love you banner place cards too! What a cute way to display your name tags! I LOVE brown paper lunch bags for so many uses & projects – and this one is fantastic Diane! I love your style, Diane! You always come up with the best ideas!